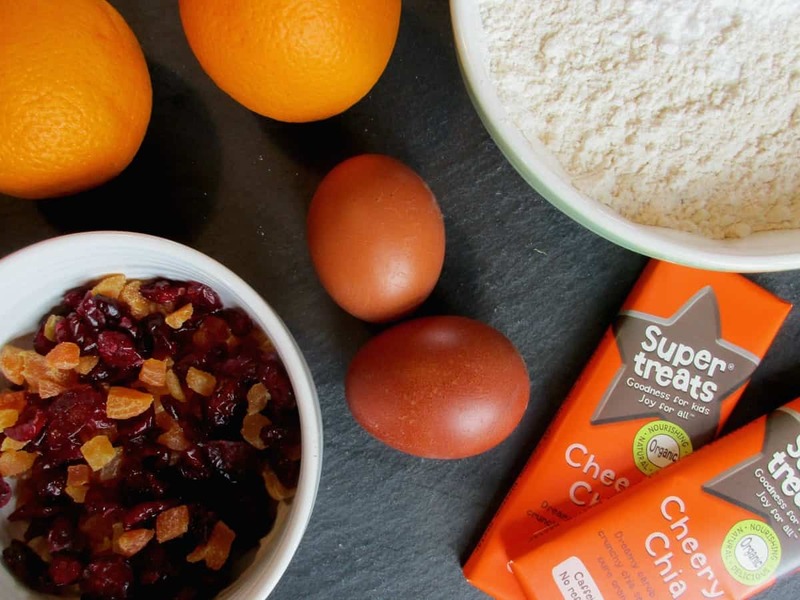 We are trying to reduce our intake of refined sugar so when we were sent some Cheery Chia bars by Supertreats I decided it was a great opportunity to try some sugar-free baking. 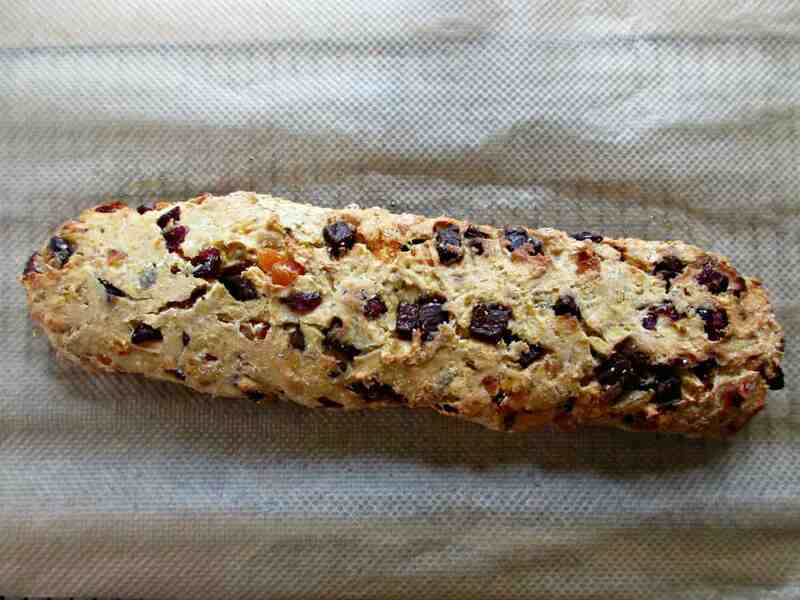 These Orange, Carob and Chia Seed Biscotti contain no refined sugar and are packed full of dried fruit. We haven’t used nuts so the kids can take them to school, but they would also make a lovely addition. It really is a ‘use whatever you fancy’ sort of recipe, and since the base dough is unsweetened there is no reason why you couldn’t make a savoury version – I think parmesan and herbs would be a lovely starting point. Simply combine the dry ingredients, stir, then add in the wet – combining until you have a stiff dough. 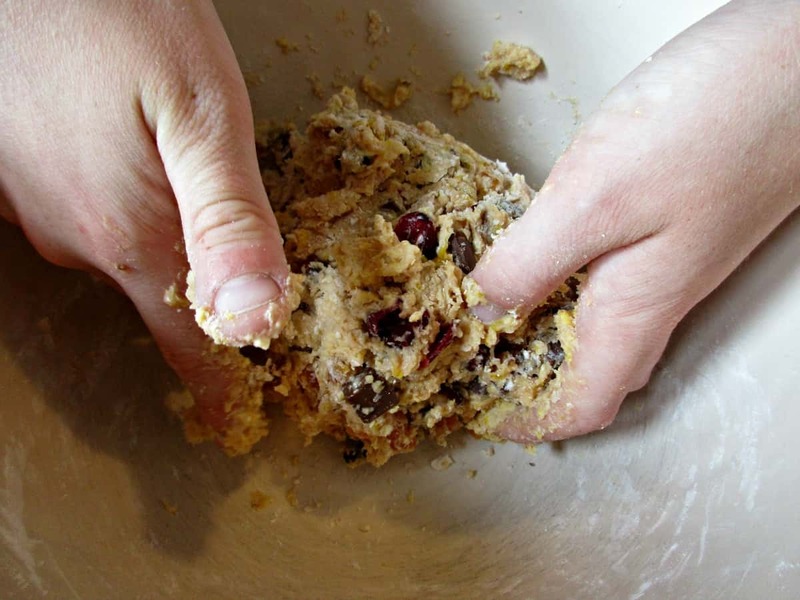 If you find your dough too wet or dry just add a little more flour or a touch of water. 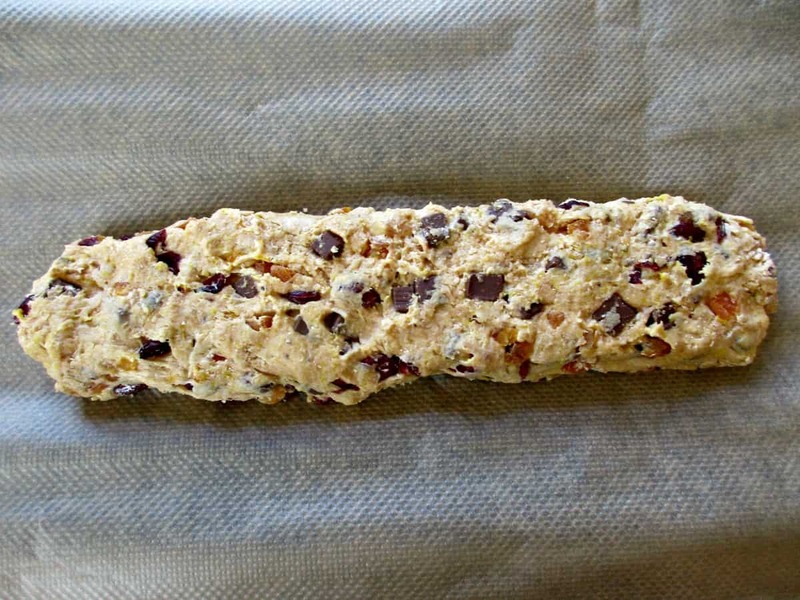 Shape your dough into a slightly flattened log and place on a tray lined with baking parchment. Bake at 150C for about 25 minutes until it is lightly baked (pale golden), then remove from the oven and leave to cool for 20 minutes. Once the log has cooled for 20 minutes use a serrated knife to cut into slices 1cm thick. Place the slices flat on the tray and return to the oven for a second baking. 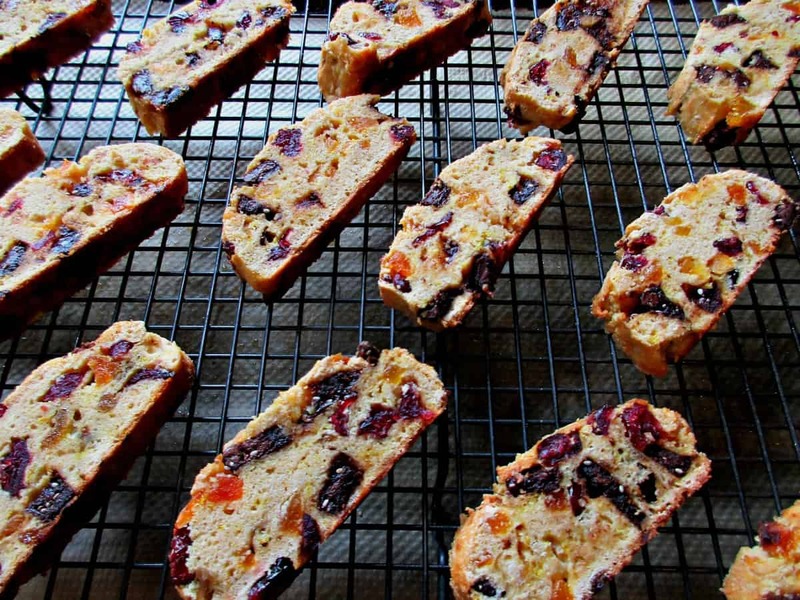 To achieve the characteristic hardness of biscotti the biscuits need to be dry through. I start with about 10 minutes for each side but keep a fairly close eye on them. Once baked to your liking allow to cool and store in an air-tight tin. 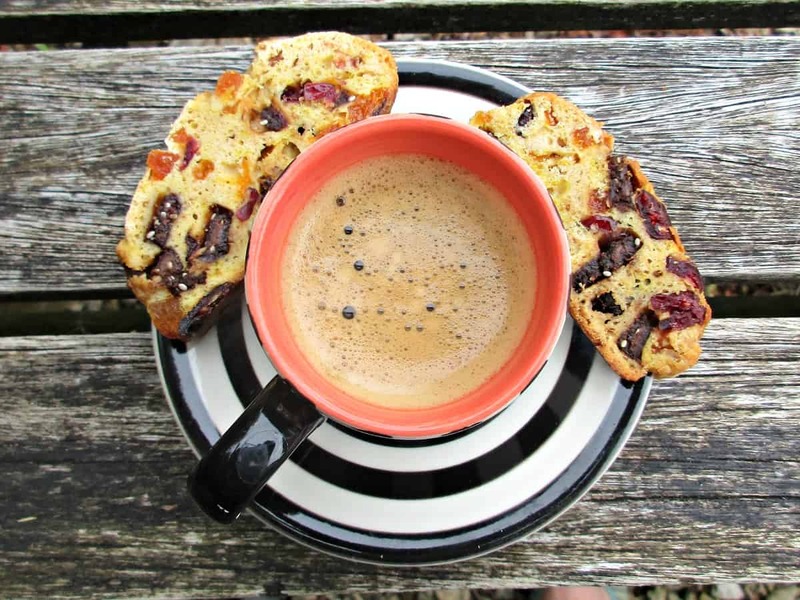 Due to these biscotti not containing any fat, they should keep well for at least 2-3 weeks. For more healthy snack ideas check out our Stinging Nettle Crisps and Apple, Rhubarb and Elderflower Fruit Leather. We tried this last night and it was so good. We added some nuts and I can say that I can eat this all day. 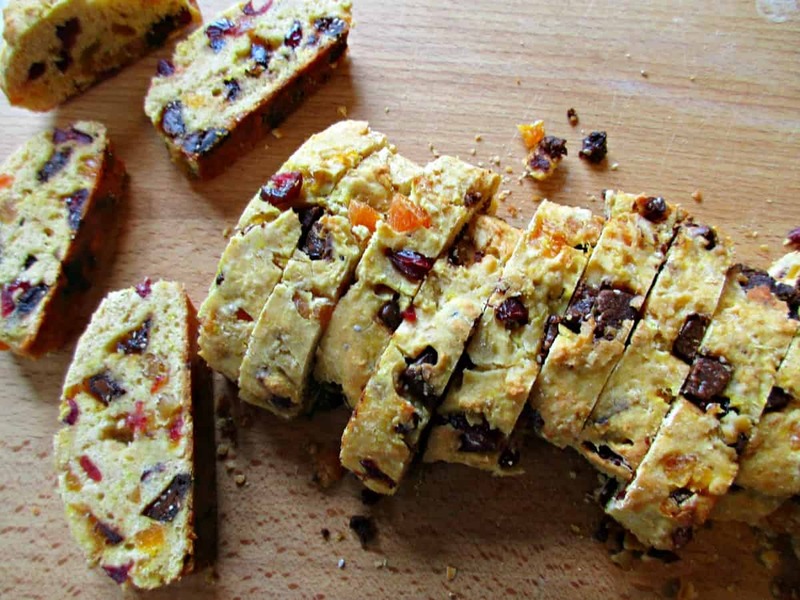 Thank you for sharing this wonderful and healthy recipe. Thank you so much for coming back and letting us know you tried our recipe Sheila – I bet the nuts were a lovely addition! They’re easy to make Michelle – I know you can cook really!